It appears that the CFC have become bored of the current state of the war where N3 will drop slowcats and supercarriers to win defensive timers. In response to this The Mitanni has decided to deploy supercarriers and titans of their own to the war. Meets: Veto Corp Presents EVE London! Veto Corp Presents EVE London! Friday, January 3rd, at 0700 a massive fight between the combined forces of Psychotic Tendencies, IRED, and Death By Design fought Usurper and their batphones of Shadow Cartel and The Cursed Few (TCF). For those who know what OTEC, you can skip this next section of text, and get right to the story. And now, what’s going to happen to us without barbarians?They were, those people, a kind of solution. nGR RDNx from Eve Down Under threw together this a timelapse of New Edens sov for the last year. 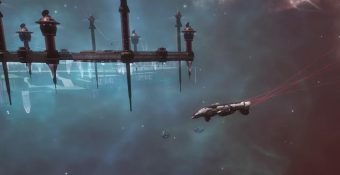 This timelapse contains all 365 days of 2013’s Eve online experience. Hope you enjoy! There are many different kinds of fits in EVE Online. All around New Eden, Capsuleers find what works best for them in a sea of near endless possibilities. You can either be prepared or die, so what works? Welcome to The Garage. A new series featuring Zaqq. 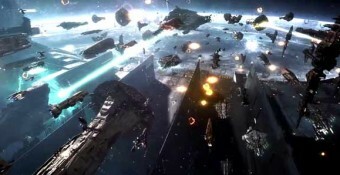 in the video you see T1 Scythe, or Scimitar, taking down battlecruisers and strategic cruisers, etc… Totally unexpected things. 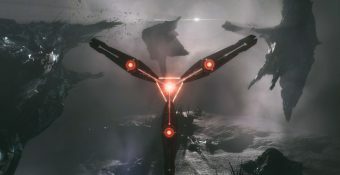 Reading Sugar about new players and Jester about luring people to New Eden made me think a lot about EVE New Player experience and lead to the simple, but not at all straight-forward result: the standard MMO new player experience design is completely useless for EVE Online. The whole EN24 team would like to wish everyone a Merry Christmas and a Happy New Year! The EVE community hasn’t been sitting still either, doing corp Secret Santa projects, gifts etc to celebrate Christmas. A PL titan just got tackled at the goon staging system. The PL titan got tackled after an attempt to perform a drive-by in the Goon staging system. After scoring a CO2 Carrier kill he aligned out but a CFC dic got a hold of him and pointed the titan. Late tonight just before downtime, a highsec Nidhogger owned by Academion (Goonfleet/Bandofbrothers) accepted a duel against a pilot. The pilot immediately reshipped to bump him off station and called in support. TEST announced their deployment to Vale of the Silent. They will side (again) with EMP to harass the CFC’s renting space. Their objective will be to make CFC chose between a war in the south or save their isk-making space. Below you can listen to the meeting yourself! 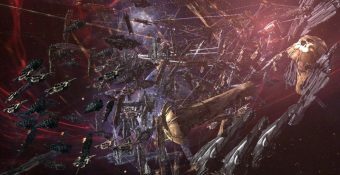 With the SOV war in the south not going in favor of The CFC at this point, it now appears that another war of damage control is starting to bleed out across the stars of New Eden. While at the same time, the real assault of stealing renters for their income is well underway.